Looking for a place to book your Holiday Party? You've come to the right place! At The Crossings at Carlsbad we specialize in Holiday Parties that are the perfect mix of classy and fun. Make the event your own or ask our catering team for suggestions! Whether you would like a small or intimate get together of 10 to 20 people, or a party for your company of 220 people we have multiple event spaces that will suit your needs. Check out our Holiday Menu below for pricing, details, and food & drink options. It's never too early to start planning the perfect Holiday Party, contact our Catering Team today to reserve your space! 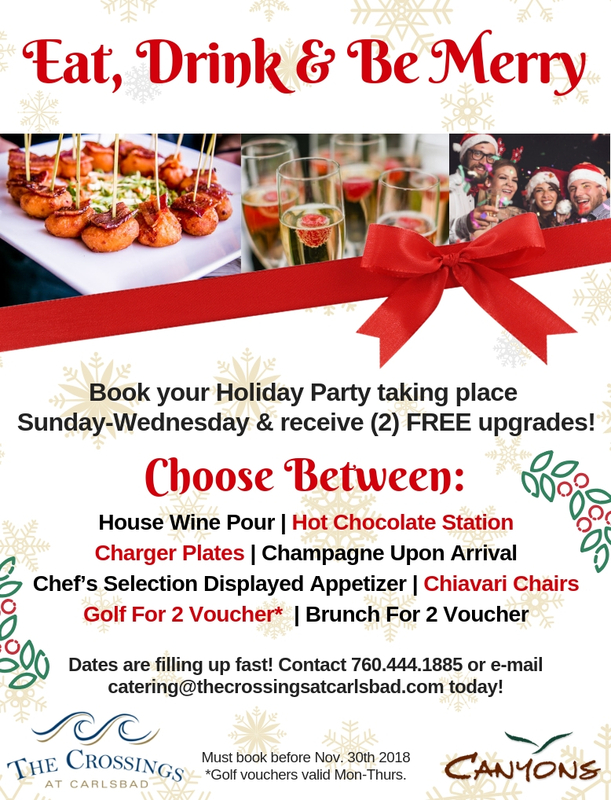 Call 760-444-1883 or e-mail catering@thecrossingsatcarlsbad.com or fill out the event request form below! 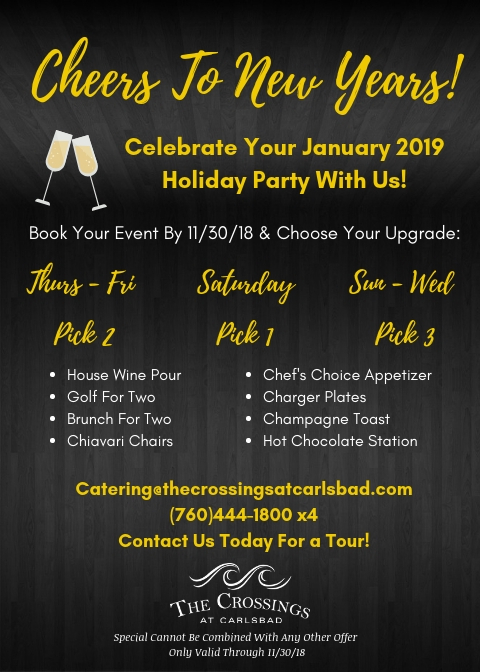 Request a quote for your Holiday party today at The Crossings at Carlsbad by filling out the form below. Additional comments, details or questions.